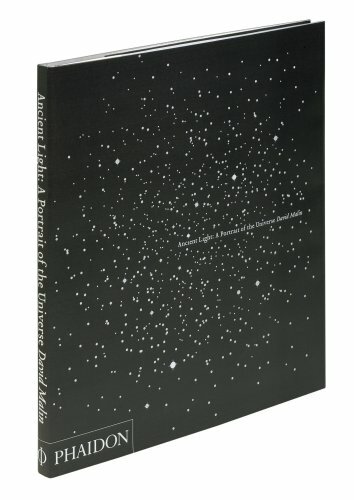 This book brings together the finest collection available of star clusters, galaxies, nebulae and other such spectacular phenomena caught on film. Each beautiful image, made from a series of delicate yet rich platinum prints, is accompanied by a clear and engaging caption. Malin's short texts (approximately 100 words) describe the depicted phenomena and some of the mythology surrounding them. The book is divided into nine sections, using the constellations as a framework to identify the positions of the images in the sky. Each section is introduced by a short text describing the featured constellations and a celestial map. In his introductory essay, Malin outlines the history and importance of photographing the night sky, describing how very long exposures taken with a telescope reveal stars and distant galaxies too faint to be seen by the eye. By studying galaxies, we learn about our origins and perhaps our destiny and, the origins of the ingredients of life and the destinies of stars like the Sun and the planets associated with them. Much of our current knowledge on these subjects was gleaned from black and white photographs like those in this book, which were originally taken for scientific purposes. Using the world's most sophisticated telescopes and his own revolutionary techniques, Malin brings us awe-inspiring images of distant worlds and amazing phenomena. He is a pioneer of space photography and has invented new ways of capturing the unseen universe on photographic plates, leading to the discovery of two new types of galaxies. His photographs capture light that has travelled immense distances, sometimes thousands of light years, to reach us.